When we asked Janet about The Greatest Show marketing series which launched in Bellevue on January 15, she said the spark was ignited in 2018 when she set a goal to bring her expertise to the events industry. All memorable events are real-life examples of making a dream tangible, and the Meydenbauer series was no exception. She used her own "Go Further" planning and strategy exercise (which she teaches in the series) on herself. In short, she said her simple "Go Further" technique propelled her forward over a nine- month journey to Meydenbauer Center. Greatness was literally in the cards for the attendees of The Greatest Show. Attendees took home this journal book with an insert for business cards. One of the slots contained a personalized card to remind us that greatness starts with curiosity. Our 2019 theme in serving you is The Greatest Show. Coming next, we'll feature principles from the Harvard Business Review article, The Business Case for Curiosity by Francesca Gino, Sept-Oct 2018. Gino suggests scheduling Why? What If? and How Might We? days at work, to involve the team in learning to flex their curiosity muscle. 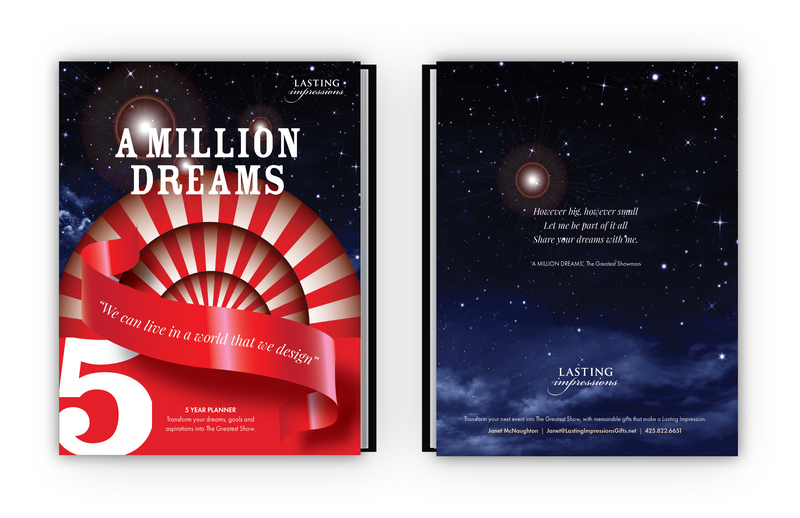 Book 5 was provided as a conference gift to get attendees started on "A Million Dreams" in a way that captures winning ideas and turns them into measurable achievements. 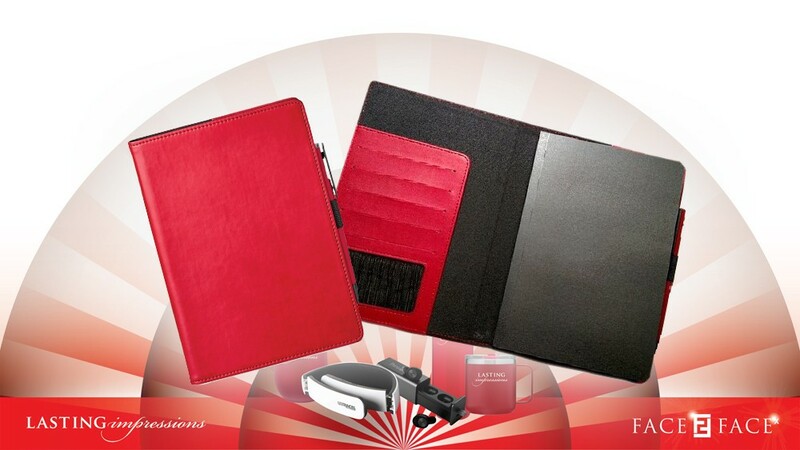 You can customize this book with your brand and message, to provide an attractive planning tool with value that appreciates over time. All marketers are avid trend-spotters. They have to know their customers and their competition. But that is not where greatness lies. The real gains are achieved by understanding your own unique contribution and expressing your vision not only persuasively but with lasting impact. Lasting Impressions believes in bringing "the whole package" to clients. Marketing strategy, planning, and flawless execution turn your goals into greatness; memorably and within your budget. Lasting Impressions wants 2019 to be your Greatest Show.